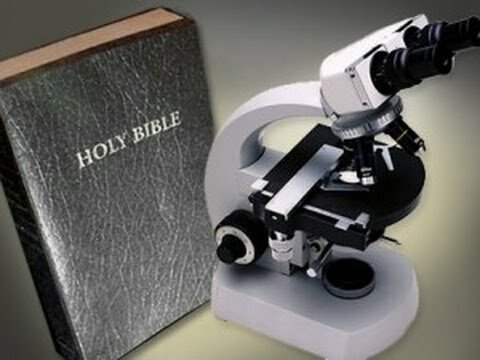 BIO-ORTHODOXY: Faith and Science: Contradictory or Complementary Meanings? Faith and Logic, Religion and Science are not seen as conflicting, by well-meaning persons. Only the erroneous placements of the representatives of each side are in conflict. Proof of this is the fact that eminent Christians, clergymen and laymen, as well as the major Fathers of the Church, were also well educated for their time and some of them – for example Saint Basil the Great – were also well versed in all the sciences. Wasn’t the Belgian scientist Georges Lemaitre – the “father” of the “Big Bang” theory on the Beginning of the Universe – a priest? Weren’t many of the Teachers of our Nation during the Turkish Occupation, such as: Eugenios Voulgaris, Nikephoros Theotokis, Methodios Anthrakites, Benjamin of Lesvos, e.a., also the first teachers of positive sciences in our homeland, and at the same time priests? The very significant scientist and studier of the human genome, Francis Collins, in his book “The Language of God” writes: “The God of the Bible is also the God of the genome. He can be worshiped in the cathedral or in the laboratory." (http://www7.nationalgeographic.com/ngm/0702/voices.html - Interview with John Horgan). Furthermore, the English astronomer, Prof. Smart, submitted the following thoughts: “When we study the Universe, we take into account its size and its regularity and are thence led to acknowledging a Creative Power and a Cosmic Purpose, which transcends all the boundaries of human comprehension” (D. Kotsakis, The Astronomical Universe – Creation or Chance?, Zoe publications, 1983, page 108). But even the great mathematician Einstein wrote: “Every researcher of nature is overcome by a kind of religious awe in the presence of the order that prevails in nature, which cannot be a chance thing. The universe reveals to Man an unlimited superior intelligence” (Ferdinand Krenzer, Synopsis of the Catholic Faith, Spiritual Course Publications, p. 32-33). 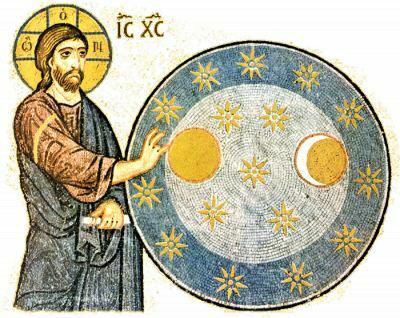 Science mainly provides knowledge and the technological implementation of that knowledge, for the health and the well-being in people’s lives, while Theology – and especially the Church - provides psychosomatic therapy and salvation, sanctification and deification (theosis), through ascesis, sacramental life and love. The work, therefore, of the Church has a much broader spectrum than Science. And the genuine scientist or intellectual does not reject the miracle – should he encounter it in his life – because neither Intellect nor Science blocks the paths and the means of research, nor do they stagnate and crystallize into irrevocable recipes and solutions. Everyone has a right to declare himself an agnostic, however, he is betraying his quest and his very self, if he declares himself an atheist. The truth may exist in the future of Science, but Christ always comes from the future as well - in some bend of our existential road - and never from the past. It is a fact, that wherever Religion is attacked by Science, that is where certain representatives of Science respond with ideological and metaphysical - and not scientific - warfare. Of course, it has by now become clear to scientists that each Science is not a kind of magic with unlimited potentials, nor does it claim to possess –without any weaknesses whatsoever- the extreme certainty, in an absolute knowledge, based on its findings. Natural reality has many aspects, just like a building. And it has now become part of our conscience that the scientific view of the world and nature indicates only one of the many functions of the world. Besides, the source of every knowledge is undoubtedly the faith in the potentials of that knowledge, even when our basic scientific beliefs are as yet unproven. Furthermore, every world theory is – deep down – an esoteric and religious one. You begin from the point that you believe in, deep down inside you, and you continue on, with faith in the result. Philosopher E. Block mentions: “There are some knowledges that we cannot acquire, except only if we desire to” (Ferdinand Krenzer, as above, page 31). We must not forget that all scientists, during their work, daily put their trust in the positions and the research of others, of colleagues who have preceded them, without trying to prove everything, from the very beginning. (see Chorepiskopos of Arsinoe George, "Religion and Science in our Days", A Homily delivered at the Union of “Friends of Saint Menignos the Cloth-dyer”, patron saint of Chemists, Athens 23.11.2003). Nobody can live with scientific knowledge alone. Morality, meaning and quality of life, the perception of beauty, of sanctity, of everything lofty and just are equally necessary. When the Third World and millions of our fellow-men are living below the levels of mere survival, they are most assuredly not interested in chromosomes, DNA, or the number of protons and neutrons that comprise the nucleus of their cells. When someone is dying of hunger, he will not satisfy his hunger with quarks and sub-atomic particles. Christianity, Science and Technology are, for that reason, the servants and the deacons for the benefit of the world, especially in view of the rapid development of the bio-sciences and bio-technology, in the wake of the critical impasses that are encountered. The German Physics Nobelist, Max Planck, actually states that: “The paths of science and religion move parallel to each other, and they meet in the vast infinity, in other words, God.” ("Science and the Church", Archimandrite Timothy Kontoyannis, www.imlarisis.gr).